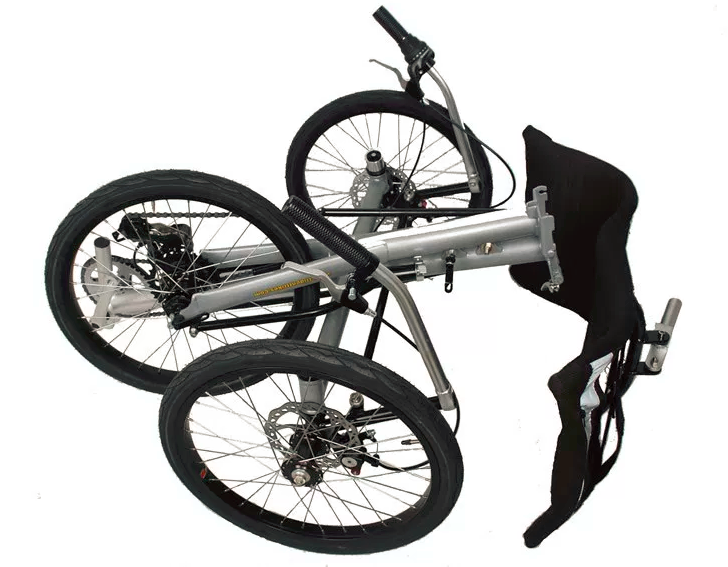 Spike 2 is a good value, entry level trike. Contact us to set up a test ride! 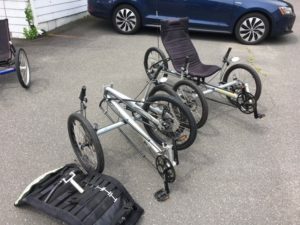 Some notable features of Spike include Trident’s exclusive Aluminum Seat that adjusts for both height– 14 5/8 Inches (370mm) to 16 1/2 ” (420 mm) and angle (42-52 degrees), a Folding Chro- Moly Powder Coated Frame, an Anodized Aluminum Boom, Aluminum Seat Frame with Water Bottle Cage attachment bracket, a Samox Triple Crankset, Microshift Front Derailleur, Microshift Marvo LE Rear Derailleur, an 8 Speed 11-32 Cassette, and finally Avid BB5 Disc Brakes.